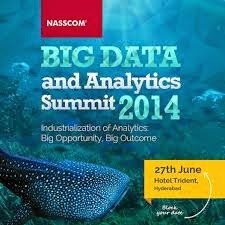 To address the growing business opportunities in the Analytics and Big Data space, National Association of Software and Services Companies (NASSCOM) today held the 2nd edition of the NASSCOM Big Data & Analytics Summit 2014 in Hyderabad. With the theme of “Industrialization of Analytics”, the focus of the summit was to share thought leadership on how to build analytically-mature organizations with analytics embedded at the business core & across the business value chain. The summit witnessed industry leaders share best practices on processes, tools, technology, technique and applications used in the context of analytics and also insights upon how to build India’s Analytics talent strength. Analytics today has proven to be the crucial ingredient of success for organizations across industries. With the combination of networking, big data and advanced analytics, the industry is working on big ideas and a renewed vision to help businesses transform to being digital enterprises. It is also increasingly becoming the vital business dimension which offers customer solutions and improves operations. Interestingly, over the years a large number of start-up companies are looking at analytics to drive innovation and transform business processes and operations. To showcase some of the cutting edge work being done, the NASSCOM 10,000 Startups program also presented six promising big data startups on the sidelines of the summit which hold tremendous potential for the future. NASSCOM also launched a report in partnership with Blueocean Market Intelligence, titled “Institutionalization of Analytics in India: Big Opportunity, Big Outcome” on the sidelines of the summit. The report analyses the current scenario, trends in the India market, factors driving adoption, challenges faced by both users and suppliers. The report additionally showcases global and India examples of how firms have implemented analytics and the benefits gained. Further, it sets out a roadmap on what needs to be done by stakeholders involved, to industrialize this technology within enterprises in India. 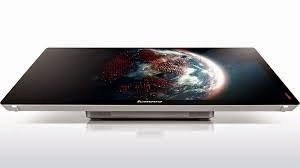 Lenovo, a leading PC player has launched A7-30, an affordable multi-media tablet that offers you the complete entertainment experience. Now, watch the colours on your screen come alive while viewing the latest movies owing to the A-730’s bright 17.78 cm (7) display. Listening to your favourite songs will be twice as much fun thanks to its dual front-facing speakers that offer louder, natural, distortion-free sound. At only Rs 9,979, the A7-30 will continue to surprise you with its superior performance. 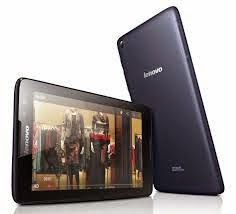 You can check your email, surf the web and download tons of apps at the same time, thanks to the A7-30’s quad-core processor that makes your experience extremely smooth and responsive.The A7-30 also equips you to stay connected with friends and family at all times with its voice calling and worldwide roaming features. And it won’t die on you when you need it the most, owing to its longer battery life that provides 8 hours of WIFI browsing on a single battery charge. The A7-30 offers double the amount of storage with 16 GB in built memory (expandable upto 32 GB), which means you can download and store more apps as well as an incredible amount of content. This pocket sized wonder is available in white, offering a thinness of 10mm and weight of only 327 grams, making it perfect for reading and web-surfing on the go. The Indian economy in CY2013 went through a challenging phase with high inflation and a slowing growth. This coupled with the state and national elections created a slow-down of the overall economy and ICT spending. 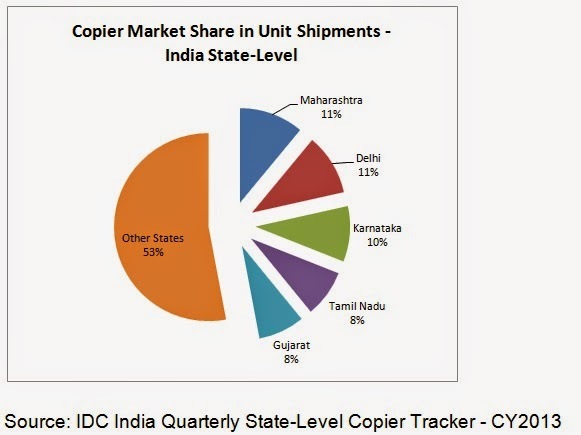 Despite these challenges, the copier market in India has shown resilience. 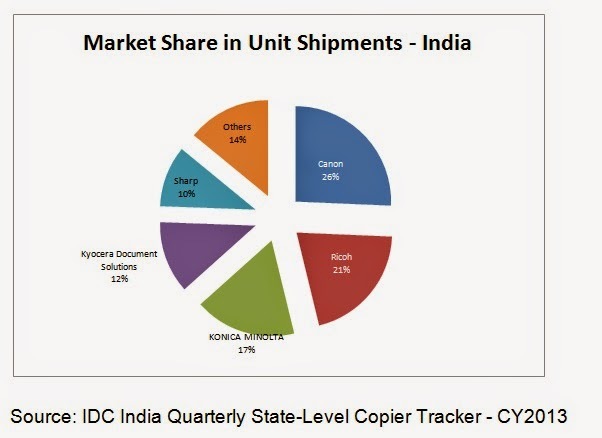 According to International Data Corporation (IDC) the India Quarterly State-Level Copier Tracker shipments were 1.07million units in CY2013. This represents a 1% decline compared to previous year CY2012. One ray of hope came from the color printer segment, showing 20% year-on-year growth, with mid-segment Average Selling Value and above price-band models. In Delhi, the national capital and center for Government, Defense and Public Sector, technology procurement continued. Given almost all copier vendors are headquartered in and around Delhi, they can maximize their focus in these customer segments, particularly in Q1, which is the last quarter of the financial year. Most Government departments funds froze up towards the end of 2013 as the country headed towards National Elections in first half of 2014. While this slowed down the sentiments of the market somewhat, some cash-rich vendors responded with an aggressive penetration pricing strategy. In Karnataka, Bangalore is the major contributor being the hub of Information Technology/Information Technologies & Enabled Services (IT/ITES) companies. Interestingly, IDC observed that a lot of major companies were setting up their branches in Tier II & Tier III cities of Karnataka such as Mysore, Mangalore and Hubli. The demand from these cities increased whether it is from IT/ITES, Manufacturing, Construction or Education. As one example, HCL Infosystems closed a large deal (nearly 1000 units) on behalf of Toshiba in Q4, 2013. 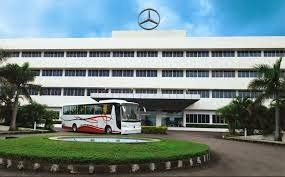 Luxury car maker Mercedes-Benz India Pvt. Ltd would start manufacturing at its second plant shortly, which would help the company double its production capacity in India, an official of the company said. “The second plant is in the final stage and in the process of getting all the approvals. 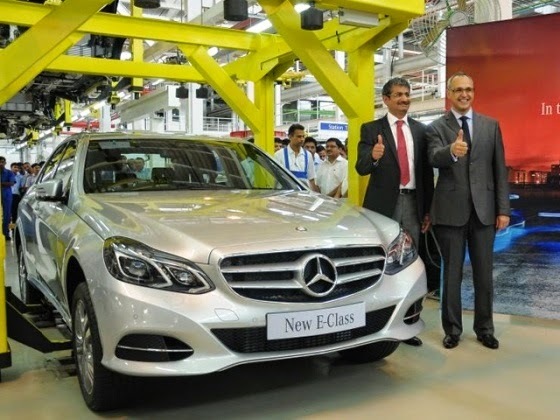 The plant will be ready for use very soon,” Boris Fitz, vice-president (sales and network development) of Mercedes-Benz India said. The company’s first own plant started production in the country in 2009 which has an installed capacity of 10,000 units per annum located at Chakan near Pune. After completion of the second plant, the production capacity would be doubled to 20,000 units per annum. Last year, Mercedes-Benz registered sales of more than 9,000 units. “This calendar year, we are expecting to grow in double digit,” Fitz told reporters at the launch of special editions of A-Class and B-Class compact cars in the city on Thursday. “The new plant will make the company future-ready as the luxury car market is going to expand at a higher growth as compared to the normal passenger car market,” he said. At present, the volume of the luxury segment was 1.5% of the total car market in the country. “By 2022, this will go up to 4% of the total market estimated as 5.5 lakh units,” Fitz said. He said with the commissioning of the second production line, total invested made in India would touch Rs.850 crore. Mercedes-Benz plans to launch three more models in the current calendar year. Royal Philips and salesforce.com has announced a strategic alliance to deliver an open, cloud-based healthcare platform, leveraging Philips' in medical technology, clinical applications and clinical informatics and salesforce.com in enterprise cloud computing, innovation and customer engagement. The platform will enable medical device and data interoperability, the collection of data and subsequent analysis to enhance clinical decision making by professionals and enabling patients to take a more active role in managing their personal health. The collaboration has till now resulted in two clinical applications to be launched on the new platform: "Philips eCareCoordinator" and "Philips eCareCompanion". These care collaboration applications will allow the care team to monitor patients with chronic conditions in their homes and will facilitate Philips' Hospital to Home clinical programs. "With this strategic alliance, Philips is making great strides to deliver real-time, digital healthcare solutions," said Frans van Houten, Chief Executive Officer of Royal Philips . "Healthcare data exists in many different forms and in many different systems today. 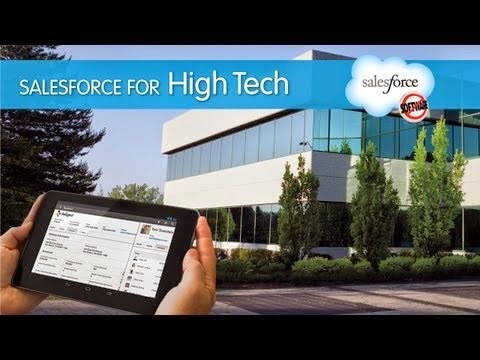 Together with salesforce.com , we have a tremendous opportunity to reshape and optimize the way healthcare is delivered and provide better access to data across the continuum of care." 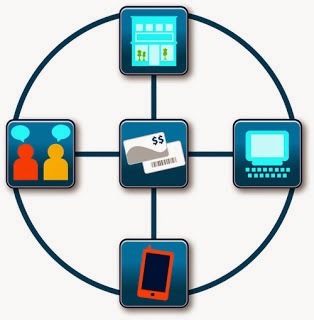 The envisioned platform, based on the Salesforce1 Platform, will enable collaboration and workflow, as well as integration of data from multiple sources worldwide, including electronic medical records, diagnostic and treatment information obtained through Philips' imaging equipment, monitoring equipment, personal devices and technologies like Apple's HealthKit. The cloud-based platform is designed to be scalable with built-in privacy and data security. By combining the data, the platform will allow for analysis that will enhance decision making by professionals and engage patients. Both Philips and Salesforce.com foresee that the platform, will utilize Philips' clinical data stores and medical device interoperability. 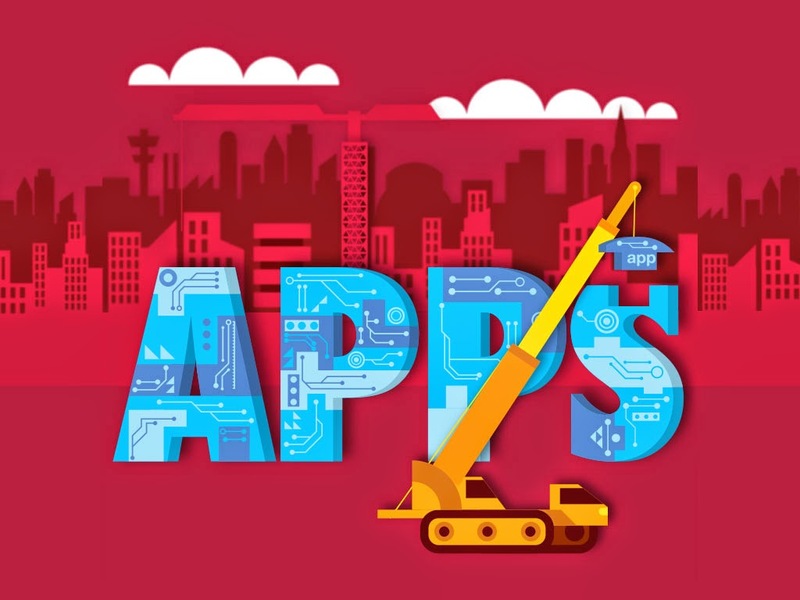 It is intended to be open to developers and is expected to result in a vibrant ecosystem of partners creating applications. As a result, the envisioned platform has the potential to transform both professional healthcare delivery and continuous personal health management. Cisco and NetApp today announced that the FlexPod integrated infrastructure solution has generated $3 billion in joint sales since its launch in 2010. FlexPod unit shipments have grown 81 percent year-over-year, with demand for FlexPod solutions now reaching a $2 billion annualized demand run rate. By combining compute, networking and storage into a single system, integrated infrastructure provides the ability to dramatically improve the efficiency and agility of data center infrastructure, while reducing deployment risks. As a result, integrated infrastructure has emerged as one of the fastest growing segments of the IT infrastructure market, with Gartner estimating that the integrated systems market will grow at a compound annual growth rate of 56.3 percent between 2012 and 2016. • Worldwide Adoption: FlexPod is deployed with more than 4,100 customers and available in over 100 countries, an increase from 2,300 customers, and 70 countries last year. • Channel Acceleration: Critical to the success of FlexPod has been its popularity with channel partners. 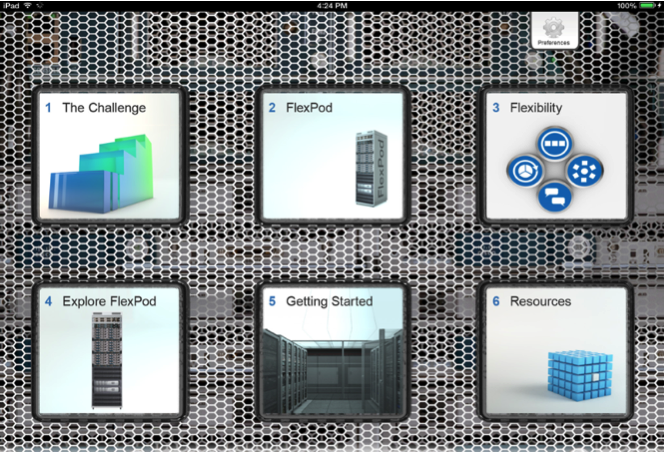 The FlexPod global reseller ecosystem continues to grow with more than 1,000 channel partners qualified to sell and support Cisco and NetApp technologies. These include 110 FlexPod Premium partners with the specialized skills to sell and support integrated infrastructure. 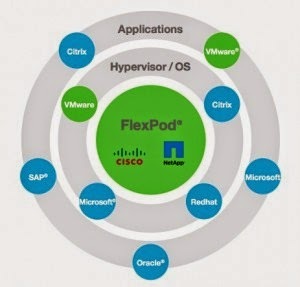 * FlexPod Roadmap: As businesses embrace hybrid clouds to rapidly and cost-effectively deliver business-critical applications and services, Cisco and NetApp are aggressively integrating innovative technology into the FlexPod architecture, including Cisco Application Centric Infrastructure (ACI) and Cisco Intercloud Fabric, along with NetApp’s clustered DATA ONTAP, Flash and cloud technologies. * Ecosystem Innovation: Technology partners have also contributed to the success of FlexPod, with key companies such as Microsoft, SAP, Oracle, Citrix, F5, BridgeHead Software, Eaton, and Splunk, optimizing applications to run atop a FlexPod integrated infrastructure. * Building on Success: Today’s news continues to deliver against the three-year plan announced by Cisco and NetApp in January 2013 to align technology roadmaps and address the next-generation cloud-integrated data center design. As part of this initiative, FlexPod will serve as the foundation for a virtualized, multi-tenant, cloud-ready data center. U.S. Accounting Firm Attains 95% Faster Access to Customer Records: Katz, Sapper and Miller (KSM) is one of the top Certified Public Accountant (CPA) firms in the United States. In the tax and accounting business, maximizing time spent on productive billing is a major priority. With its data footprint growing at roughly 25 percent each year, KSM had outgrown its ﬁve-year-old IT infrastructure. FlexPod Premium Partner Logicalis recommended a complete data center reinvention based on a FlexPod platform with VMware vSphere to vastly improve performance and virtually eliminate downtime. Now, customer records are instantly searchable—taking less than three seconds to complete instead of two to three hours with the previous systems. It is a 95 percent reduction that has allowed KSM to improve its content management capabilities and deliver better customer service. U.K. City Council Cuts Energy Bill, Improves Capacity by 50%: Salford City Council serves roughly 230,000 citizens from inner city, residential and rural areas of the Greater Manchester region in the northwest of England. The Council houses one of the most advanced data center facilities by public sector standards, yet capacity constraints were beginning to appear. Employees were consuming data in new and different ways and departments were operating independently and deploying their own IT equipment. 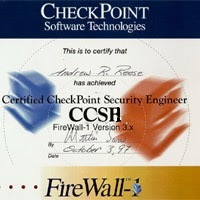 This fragmentation was leading to security and compliance issues. In response, Salford City Council transitioned their traditional data center to a community cloud based on FlexPod. This has enabled the Council to establish a solid foundation for the delivery of cloud services—increasing its server capacity by 50 percent and noticeably improving the speed and response of its applications—while reducing its energy bill by 50 percent to date. Salford City Council has also achieved a five-to-one reduction in data center space requirement, providing the Council with room for additional revenue generating hosting services. Intas Pharmaceuticals Limited, one of the leading Pharmaceutical Organizations of India has reinforced its oncology product range by successfully introducing for the first time in India, Azacitidine molecule in Azadine. 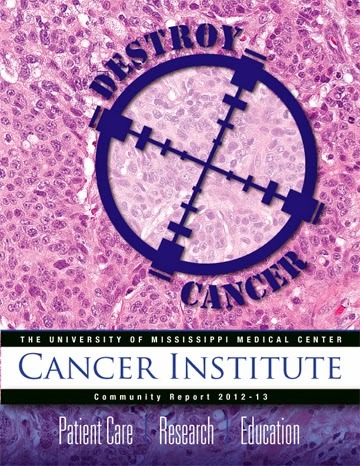 Azacitidine induces antineoplastic activity via two mechanisms; inhibition of DNA methyltransferase at low doses, causing hypomethylation of DNA, and direct cytotoxicity in abnormal hematopoietic cells in the bone marrow through its incorporation into DNA and RNA at high doses, resulting into tumourous cell death. Azacitidine has been approved by the U.S. FDA since May, 2004. Currently, for combating this type of Cancer in the country, oncologists have to rely on an imported version of Azacitidine. The treatment cost of imported Azacitidine can range between Rupees 15-18 lakhs. The cost of treatment with other options ranging from conventional agents to transplants may cost between 2 lakh to 15 lakh. Azadine has been priced with an objective to make it accessible to a majority of the needy patients. It is priced at 1/5th of the innovator brand. Azacitidine is the only drug which has been shown to prolong overall survival duration, prolong time to transformation into AML, increase response rate, reduce transfusion burden & improve quality of life. Azacitidine will also offer better convenience and compliance and reduce hospital visits due to subcutaneous administration. Azadine is manufactured in the state of the art, Intas SEZ facility in Ahmedabad, Gujarat which is spread over 35,565 sq. mts. The plant has dedicated manufacturing facilities for Cytotoxic formulations (Tablet, Capsule, Liquid Injection, Lyophilized Injection, Ointment) and Other Oral Solids (Tablets, Capsules). This plant operates in compliance with global regulatory standards like USFDA, MHRA and ANVISA. Intas is a leading multi-specialty Pharmaceutical organization committed to deliver affordable and innovative pharmaceutical solutions. The company is now the 12th largest pharmaceutical company in the domestic market (as per IMS Health India, Secondary Stockist Audit (SSA), April 2014 MAT). Intas is one of the leading players in chronic therapy in domestic market. Its portfolio extends to central nervous system (CNS), cardiovascular system (CVS), oncology, diabetes, gastroenterology, pain management, urology, nephrology, gynecology, infertility and respiratory care. Intas has presence in more than 70 countries worldwide with robust sales, marketing and distribution infrastructure in highly regulated markets like North America, Europe, South Africa, Australia and New Zealand among others. Netmagic, an NTT Communications company has been named Cloud Infrastructure-as-a-Service (IaaS) Provider of the year at the 2014 Frost & Sullivan India ICT Awards held on June 24th at Le Meridien in New Delhi. Netmagic was felicitated with this award in recognition of its outstanding performance, market leadership, and new technologies application in cloud services. Its feature rich self-service, pay-as-you-use, project governance capabilities and end-user confidence delivered through public cloud grid at major cities in India has positioned Netmagic as a holistic cloud consulting partner and a value-for-money service provider who offers best in class cloud infrastructure and solutions that empower enterprises with fully automated access, control, security, and scalability. “We are proud to have been at the forefront in defining India’s cloud story. We were one of the first to bring cloud services to India. In this highly competitive space, key to success is the constant thirst to innovate. It is this thirst that propelled us to launch India’s first Software Defined Storage Service with metered IOPS (NTSS) as well as cloud-based Web Application Firewall (WAF) Platform last year. We have also witnessed a strong growth for Disaster Recovery (DR) on Cloud offering that helps enterprises offset CAPEX considerations and invest in a cost effective, yet robust DR solution. Besides, our expert consulting and solution capabilities backed by strong service delivery has allowed us to give complex IT consolidation and migration solutions around a hybrid cloud approach, thereby protecting customers’ existing IT infrastructure while moving them on a gradual path to public cloud. With the global expertise of NTT Communications, we will continue strides of innovation, and support our customers at every step of their IT infrastructure evolution,” he added. Netmagic offers a range of cloud infrastructure solutions for compute, network, storage, and applications as well as strategic cloud deployments for disaster recovery. Netmagic’s enterprise-grade cloud platform is certified by industry leaders such as SAP and Cisco. The company works with market leaders such as Ratnakar Bank (RBL), Flipkart, Myntra, Star TV, DishTV, India Infoline, MakeMyTrip, and several others. 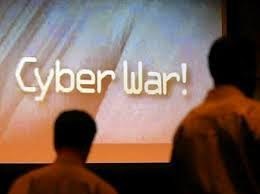 Warnings about the impending cyber-attack have gone unheeded and more must be done to tackle the threat of an infection, according to the Institution of Engineering and Technology (IET).Hugh Boyes, IET cyber security expert said: “Based on the latest statements from the National Crime Agency it would appear that their campaign to encourage computer users to scan for and remove GoZeus and CryptoLocker infections has been only partially successful. “The IET believes that more could be done to tackle existing infections. 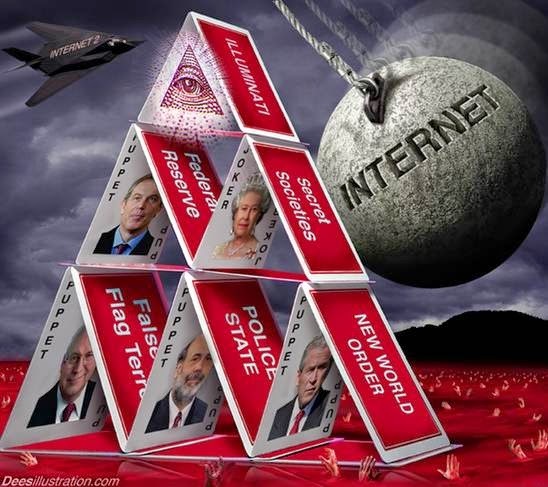 Internet Service Providers (ISPs), for example, could restrict internet access to infected machines or Internet Protocol addresses by redirecting users to a page with information on infection removal. They could also provide telephone technical support to customers to help them to remove the malware. * Never store passwords on your computer in case they are accessed by Gameover Zeus or another aggressive malware program. CAMTech INDIA—a new United States Agency for International Development (USAID/India) funded public-private partnership to accelerate medical technology innovation for reproductive, maternal, newborn and child health (RMNCH) in India—announced its first medical technology hack-a-thon in Bangalore on July 18-20, 2014. This inaugural hack-a-thon is being organized in partnership with Glocal Healthcare and hosted by GE Healthcare India. CAMTech INDIA’s inaugural Jugaad-a-thon (derived from the Hindi word jugaad meaning an innovative fix or work-around) will be a 48-hour event where 250 clinicians, engineers and entrepreneurs collaborate on disruptive, new solutions for unsolved clinical problems. Cross-disciplinary teams addressing specific clinical challenges will work late into the night to develop functional prototypes and explore new business models to commercialize their innovations. Teams present their innovations to a panel of judges at the end of the event, and will be awarded a variety of prizes to help take their innovations forward. To date, over 1,000 innovators have participated in CAMTech hack-a-thons across India, Uganda and the United States, and they have spawned a wide range of new technologies addressing intractable problems such as newborn asphyxia, postpartum hemorrhage and cervical cancer. You can read more about past hack-a-thons on Wired.com. 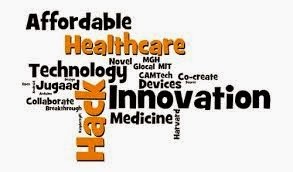 “As a healthcare provider to those most at risk for poor health and early death in India, hack-a-thons help us become a part of a unique community of innovators who share our vision of ensuring the best health care is available to all,” said Soura Bhattacharyya, Glocal’s Chief of Medtech. “We see this effort as central to improving the lives of the millions we serve.” As one of CAMTech INDIA’s lead partners, Glocal Healthcare will provide on the ground expertise and resources for the program’s hack-a-thons and clinical summits. The event will be hosted at GE’s John F. Welch Technology Centre in Bangalore, the company’s largest innovation center. GE Healthcare is at work for a healthier India through disruptive innovations and has developed over 25 affordable and accessible technologies in India to address cancer, cardiac and maternal infant care. The hack-a-thon will conclude with an awards ceremony where top innovations will receive a range of prizes, including monetary and in-kind prizes to help push prototypes through to a marketable product. Sponsors of such awards include AB InBev, Dayananda Sagar Institutions, FICCI, InnAccel and several other corporations and organizations committed to supporting affordable innovation for maternal and child health in India. Teams will be judged by a panel of experts from public health, engineering and business, reflecting CAMTech’s cross-sector approach to innovation. The Jugaad-a-thon will be directly preceded by a Clinical Summit, which will convene clinicians, healthcare workers, government public health experts and patients from across India to identify the most pressing RMNCH needs and best practices in delivering care. The Summit will also include a Technology Showcase for early-stage and newly marketed medical technologies that aim to improve quality and access for RMNCH in India. Please visit www.jugaadathon.com for more information. Check Point Software Technologies Ltd. today announced the appointments of Dushyant Singh Rathore as the Channel Lead North and East and Sajith Krishnan as the Channel Lead South in India. Dushyant and Sajith will lead channel sales and partner recruitment within their respective regions. Dushyant Singh Rathore is a management graduate from Symbiosis Institute of Business Management. His past experience includes leading multiple geographies in India (East, North, West and few parts of South). Rathore comes to Check Point from Microsoft, where he has worked for over ten years, most recently managing the cloud business for small-to-medium business (SMB) West in Mumbai. With his strong partner experience, Rathore will be responsible for delivering strong business value for India’s channel program in the North and East. Sajith Krishnan brings with him over 16 years of successful sales and marketing experience, with particular expertise in channel development and management. As part of leading organisations in cloud-based technology (SaaS), information and network security, application software products, Krishnan led several high-performing sales teams where he was responsible for alliance management, key account/client management, new client acquisition.